CR2025 lithium button cells are commonly used in car security (car alarm/keyfob batteries), organizer (backup battery for PDA such as Psion etc), glucometer, camera, electric thermometer, calculator, computer equipment (memory backup battery), toys, communication equipment, electronic watches/clocks, card radios, data pack for video camera. This battery is 100% OEM Compatible and is guaranteed to meet or exceed OEM specifications. 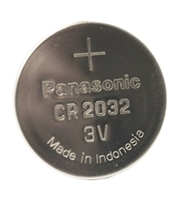 Make sure to keep the CR2025 Battery Replacement cool and store only in a cool, dry location. Alarm equipment, personal computers, workstations, feature telephones, copiers, fax machines, and video scramblers and remotes. 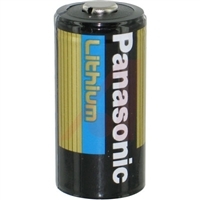 Powerful and long lasting, the Panasonic CR123A Lithium Photo Battery is one of the most capable batteries of its size on the market. 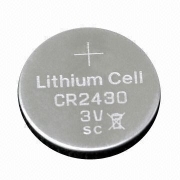 One of the most commonly used batteries in high-performance devices, these CR123As work perfectly in LED flashlights, digital cameras, and other high-drain devices. Thanks to its Lithium/Manganese Dioxide (Li/Mn)2 chemistry, this cell boasts an impressive 1550 mAh capacity and can function in extreme high and extreme low temperatures. The battery's chemistry also gives it a lengthy shelf life of 10 years, allowing you keep spares around the house or on theb job for when you need them most.